Hi ladies, summer and ice cream are an unbeatable combination. If you follow me on Twitter and Instagram, then you will have already seen that I’m a passionate lover of all things cold and sweet. 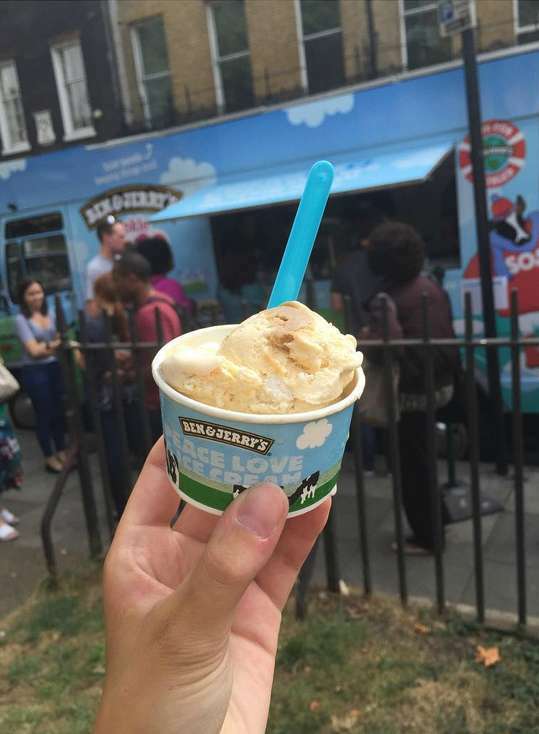 Now that the heatwave has come back to the UK it would be scandalous to not enjoy a cooling ice cream treat. Plus where there’s ice cream involved, there’s me! 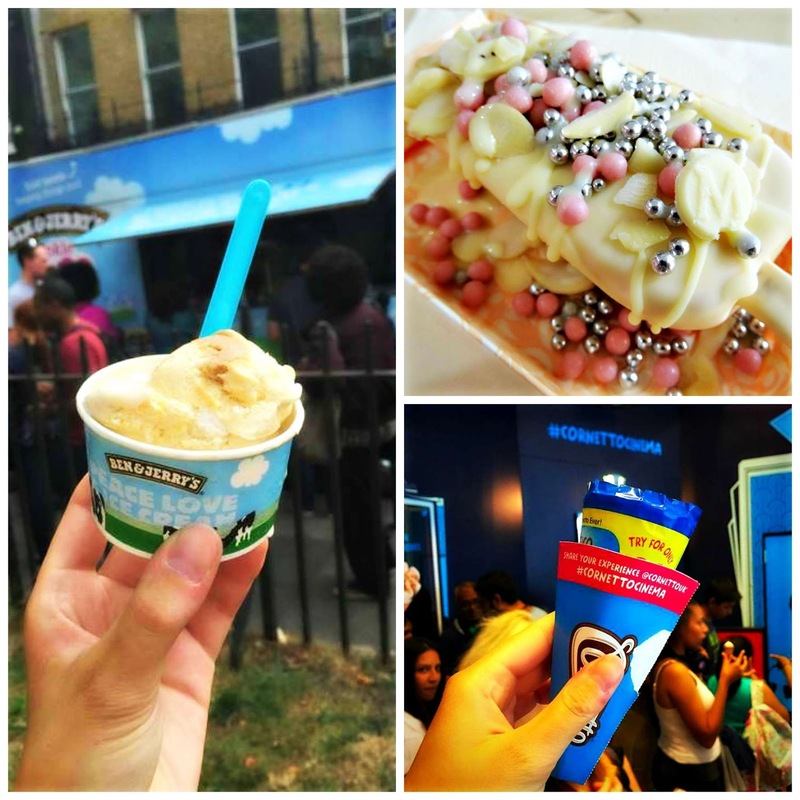 I’m going to show you the top three places where you can indulge into some fantastic ice cream opportunities in London. 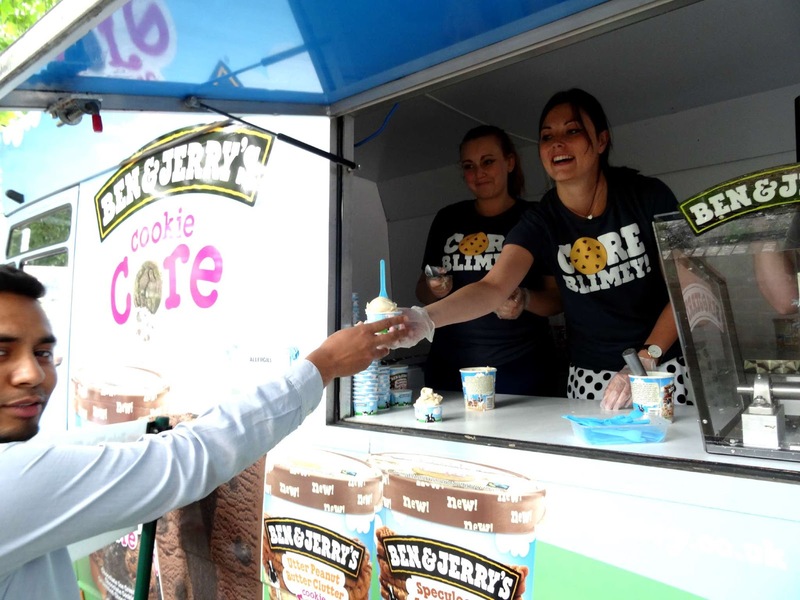 Ben & Jerry’s annual free ice cream tour is back in town and throughout the month, the van will stop at several locations all over Central to share their latest Core Edition (please find my Ben & Jerry Core Edition review here). Me and my friends Karen and Tania (WhenTaniaTalks) were lucky to get an exclusive look inside of the mysterious ice cream van, so we joined the team for a day. 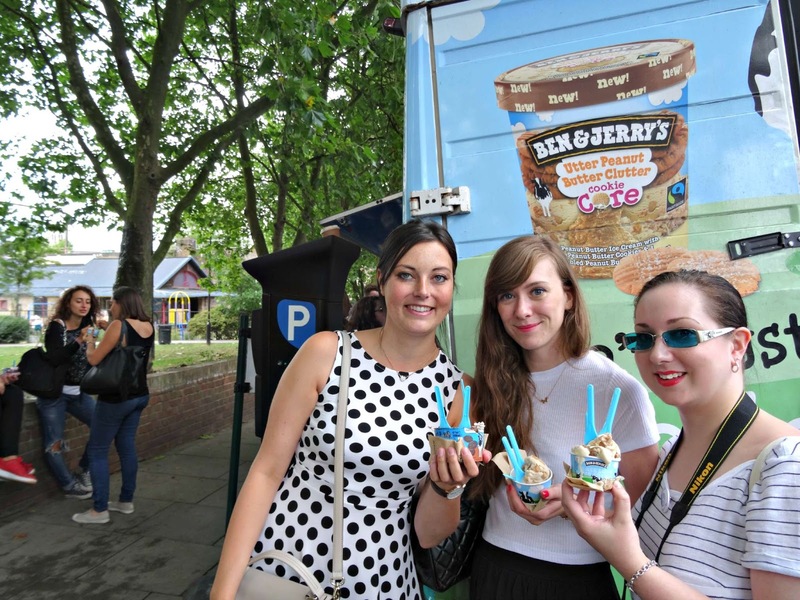 We headed over to the van which was parked in Camden and there was a long queue of ice cream lovers waiting for us. 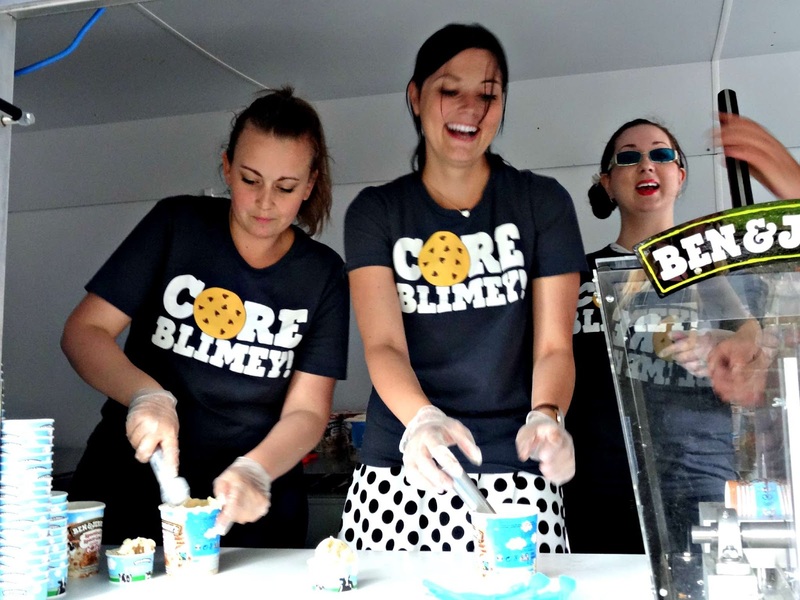 The Ben & Jerry’s team gave us a fantastic lesson in how to scoop the perfect ice cream cup and we even got the chance to use the guillotine to hand out sharer tubs. It was a right sweet mess and so much fun! The tour in London has a few dates left for July and rumour has it, a nationwide tour is in planning for September. Keep your eyes peeled as I will give you an update later in the year. Oh the Magnum Pleasure Store, where should I start? 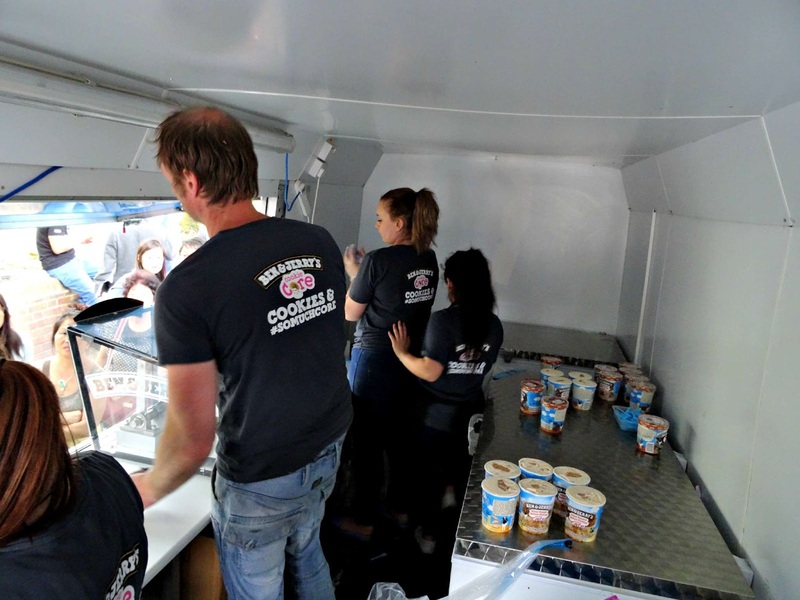 Well, it seems Magnum has realised the potential as this is their third year returning to Central with a pop-up store. 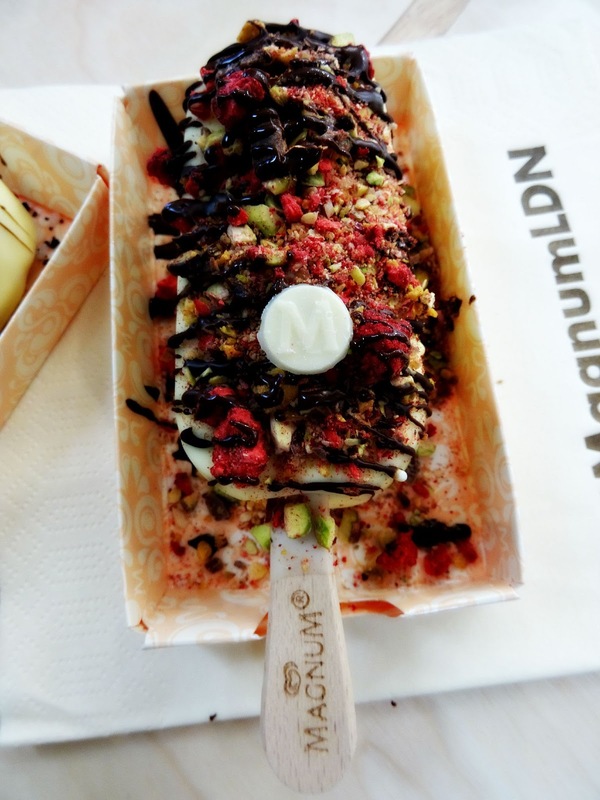 Last year’s Magnum pop-up store at Selfridges was a massive success, so it comes as no surprise that the brand has now reopened for this summer season. The concept is still the same. 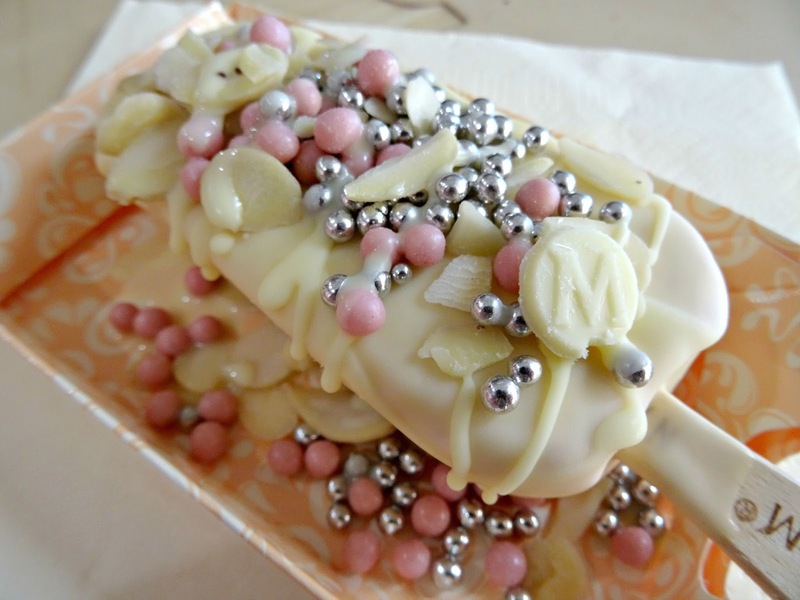 You chose a vanilla or raspberry flavoured Magnum which then gets dipped into either milk, dark or white chocolate (watch my Magnum video here). 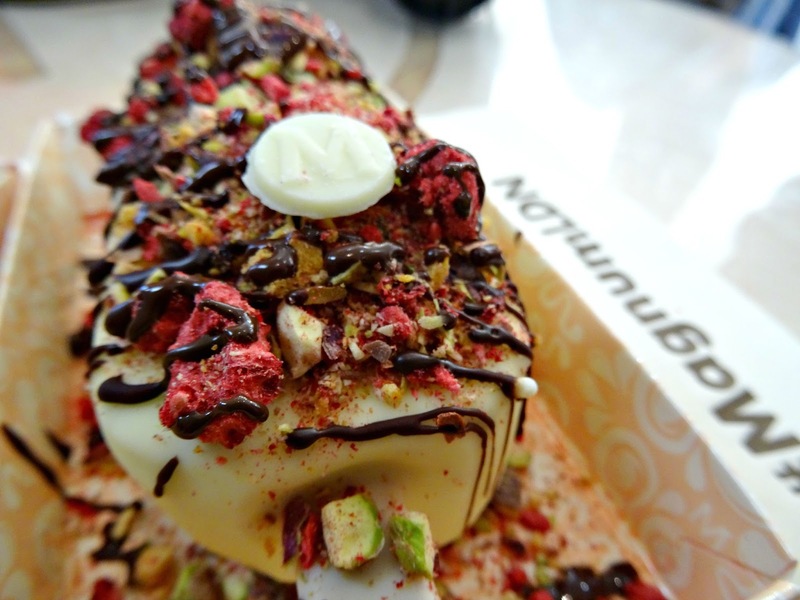 There’s a collection of sweet toppings ranging from chocolate brownie to eatable pearls via roasted pistachios to spicy chilli flakes. 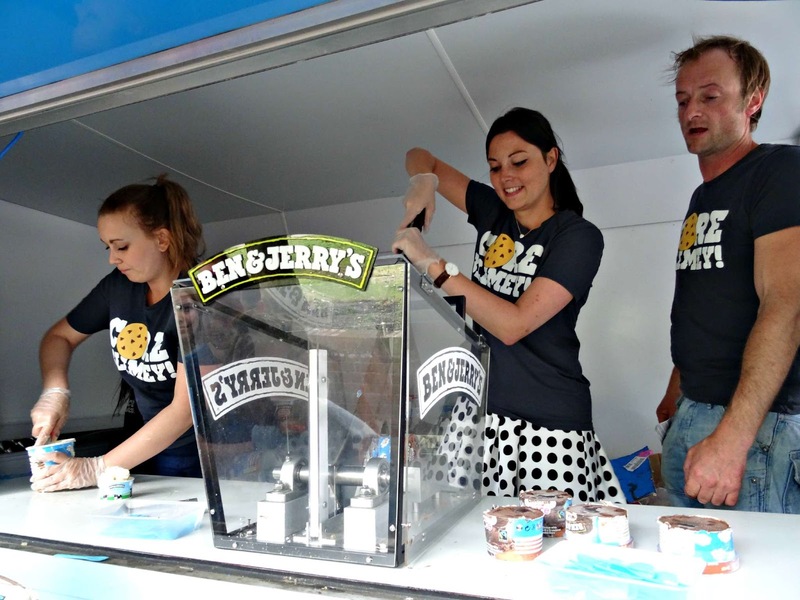 A chocolate drizzle and Magnum button will finish the creation and voila there’s your customised ice cream. 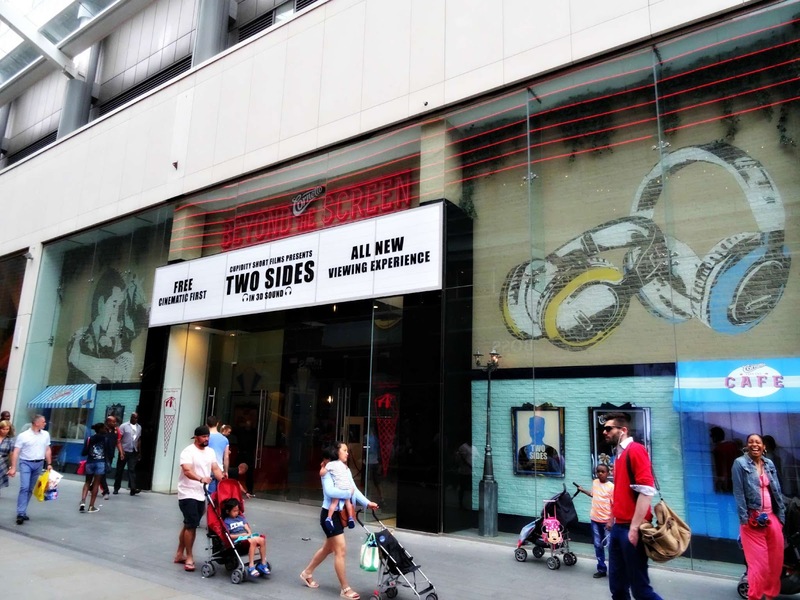 I went three times during my London trip (Is it sad that the staff started to recognise me?) and enjoyed some wonderful creations. 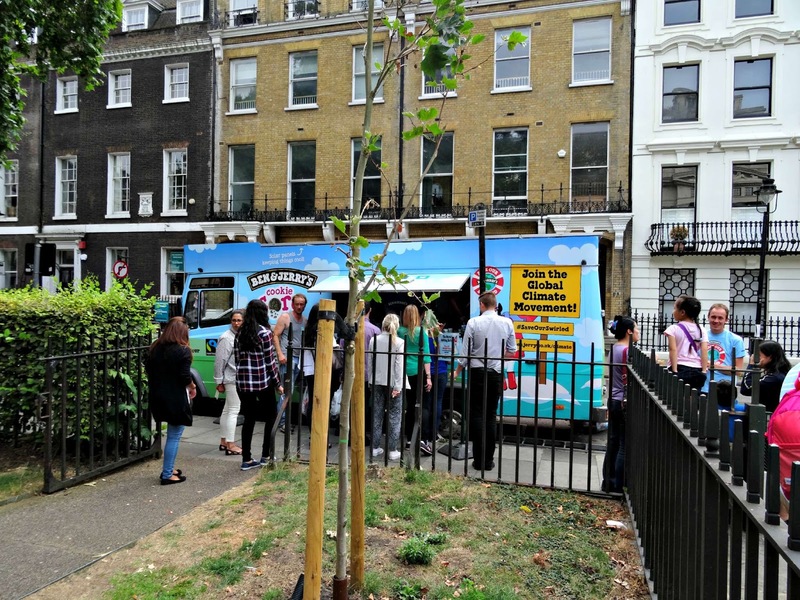 In comparison to last year’s store, the Covent Garden one is small and offers a limited variety of toppings. 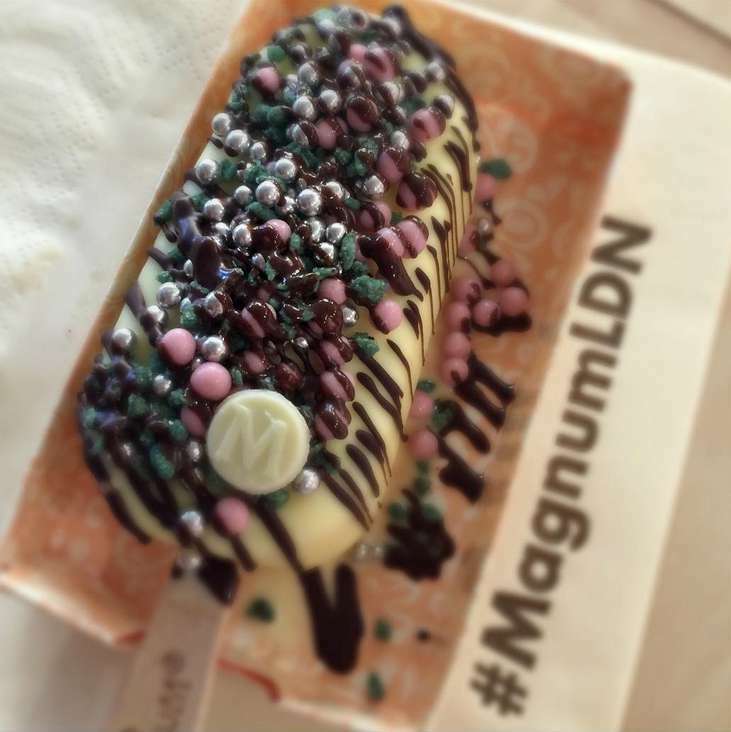 However, the Magnum Pleasure store is a unique experience and you shouldn’t miss out on it! So if you’re in London and not in Covent Garden, then you’re in the wrong place. 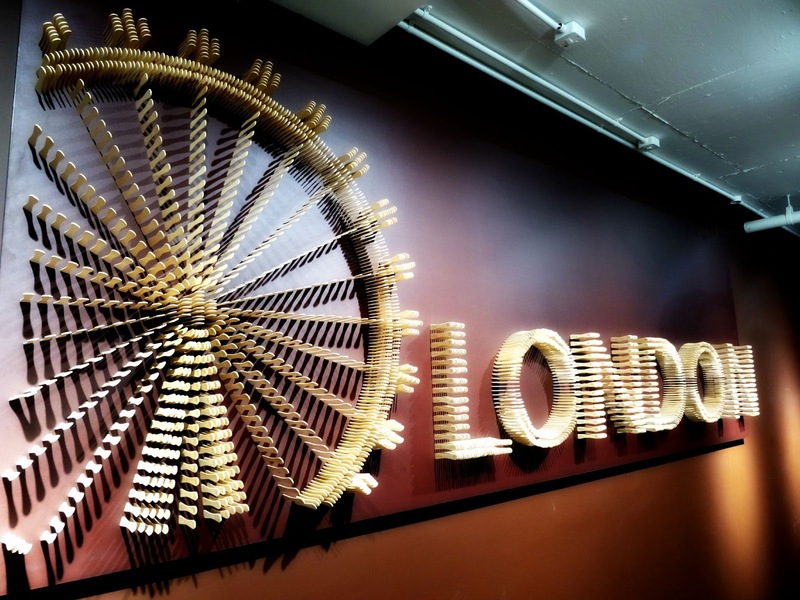 Head over to this very special experience in Covent Garden (until 30 August) or Westfield Stratford (until September). 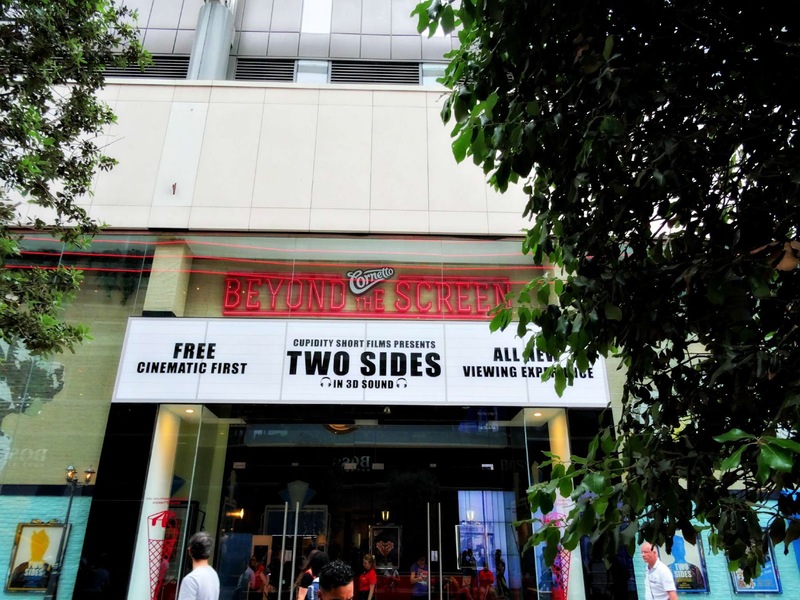 After shopping, Alex and I were approached by a member of Cornetto asking if we would fancy a unique cinema experience (yes!) including some free (yes!) 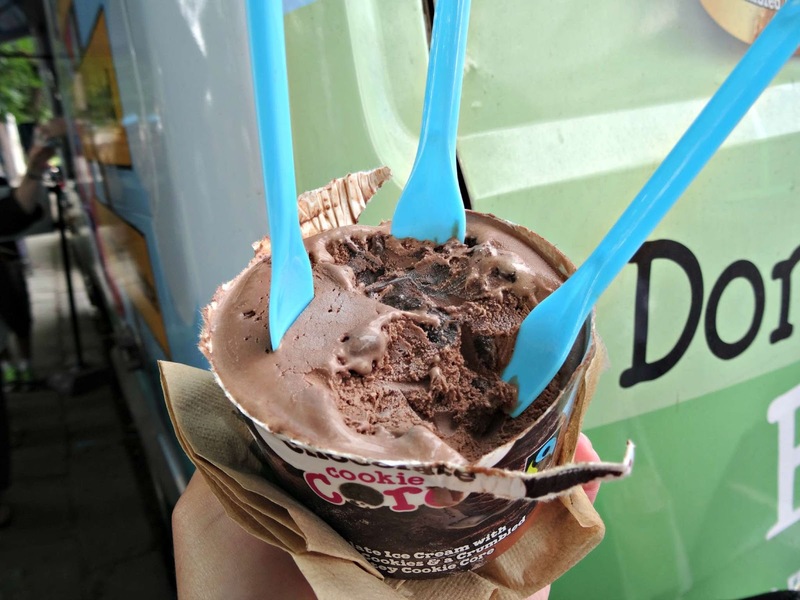 ice cream (definitely yes!). So within no time, both of us enjoyed a Cornetto Hazelnut and Raspberry and we were given some stylish headphones. 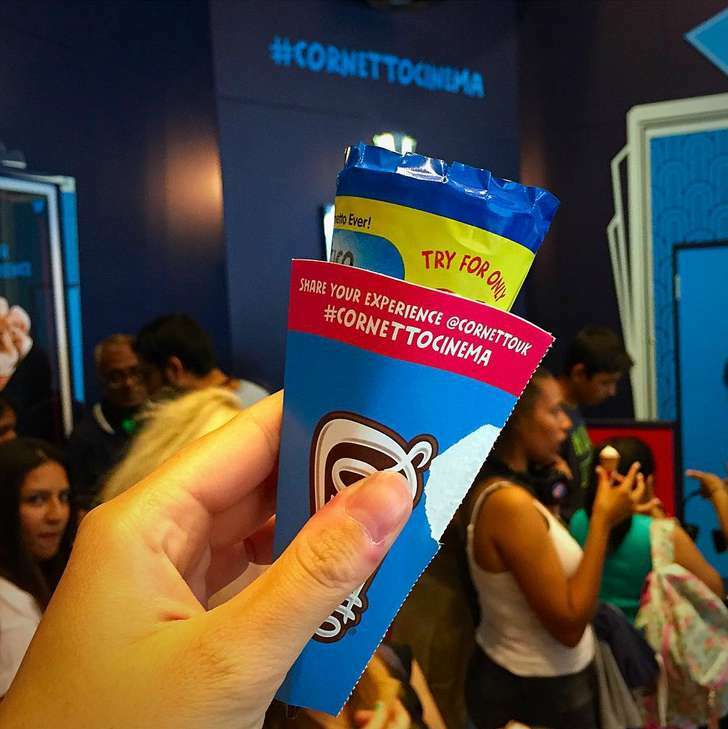 We would then sit down in a small cinema and watch Cornetto’s latest campaign. I can reveal that the film focuses on teenage love but I don’t want to give too much away (like other websites and blogs have!) and spoil the fun for you as I can highly recommend you to go. 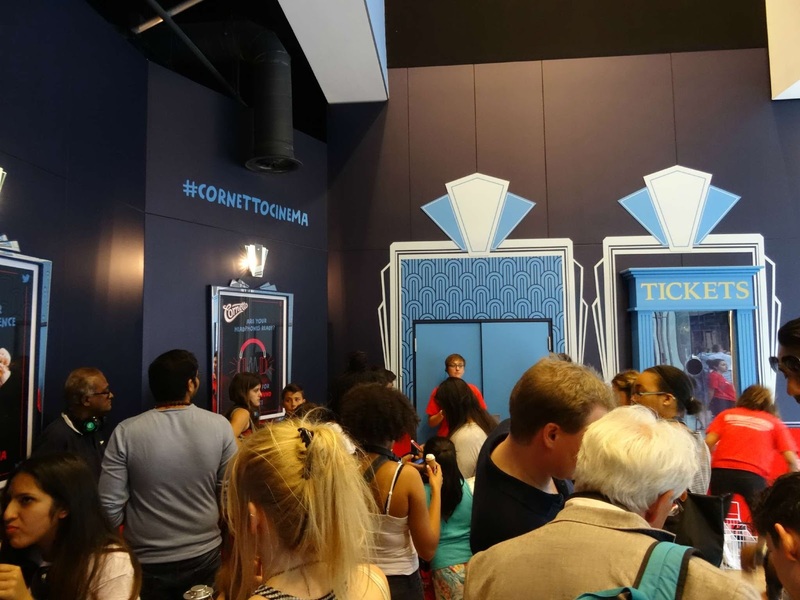 The Cornetto Cinema experience was surprising, totally unique and a bit random so if you have ten minutes or so, head over to Westfield in Stratford. You’ll find the cinema in The Streets until the end of the month. Update: Guess what has happened? 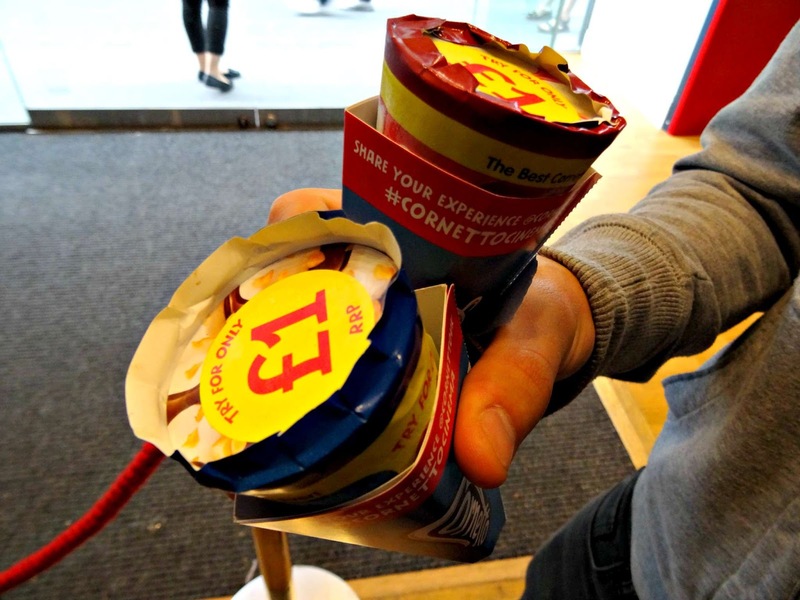 I wasn't aware that Cornetto ran a competition at the time. So every time I promoted my post over on my Twitter with their hashtag, I got added to their competition. The main prize to be won was a pair of Beats by Dr Dre Headphones and guess who the lucky winner was!!!! Yes, me! Can you imagine? I was completely surprised when they reached out to me announcing me as the winner. The headphones arrived a few weeks later and I love them. They've become an everyday essential for me and I still can't believe that my ice cream post won me something so useful and super cool. So folks, keep up your work and writing, you never know what it may lead to. That’s it for today. 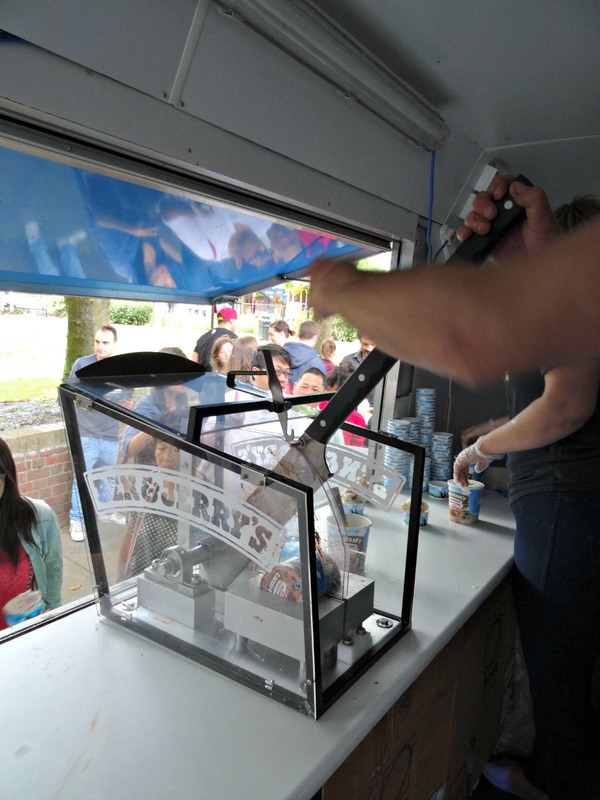 Thanks so much for reading and I hope you’ve enjoyed summer and some cool ice cream so far? Tweet, Instagram or leave me a comment, I’m always looking forward reading from you.